A brilliant man deserves a brilliant sitcom. 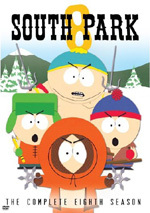 How do you top the outrageousness of South Park? With a sitcom about the new president, of course! Trey Parker and Matt Stone launched That’s My Bush! not long after President Bush’s early 2001 inauguration, and the series stirred up a lot of controversy. Perhaps that’s why it only lasted eight episodes. Bush debuted in April 2001 and was finished by the end of May. I guess the American public didn’t want to see a spoof of the brand-new president. Those who voted for Bush would avoid a series they assumed would attack the President, while liberals who saw the show probably came away somewhat disappointed since Bush didn’t really attack W.
Indeed, Bush lacked much partisan political content. Instead, it lampooned sitcoms, not the president. It could have worked for any leader, not just Bush. That allowed the show to work better than expected, though I’m getting ahead of myself. I’ll look at all eight of the series’ shows in the order broadcast. The synopses come straight from the DVD’s packaging. Bush starts on a high note with “Date”. I never saw the series when originally aired, so this was my initial encounter. I went into it with some trepidation, as I wasn’t sure Bush could overcome its goofy premise; I wondered if the show would rely simply on its main idea and go nowhere beyond that. Maybe subsequent episodes will falter, but I really like “Date”. It lampoons many sitcom clichés – the sassy maid, the swinging neighbor, the clueless hottie – and has a great deal of fun with them. I like the fact Bush treats the series like it’s a hit already in progress. It already has a “popular” catchphrase – “I’m gonna punch you in the face!” – and the audience reacts to the characters like they’re old pals. That’s a clever way to view the new series as an established hit. Those elements might not be enough for a good show, but there’s enough strangeness on display to allow this episode to soar. I absolutely loved Felix the anti-abortion leader. We learn that he was aborted himself 30 years ago but he survived. Of course, he remains in his fetal state. We see a puppet as Felix with a Cartman-esque voice, and those elements are hilarious. There’s plenty of laugh-out-loud moments in this strong series debut. “Plan” doesn’t have anything quite as bizarrely funny as Felix the fetus, but it comes close. Bush’s goofball behavior at the “fake” execution is a hoot, and the jabs at the lame comedy improv group also add great laughs. I hate that improv crap as much as the folks behind the series, so the show’s efforts to depict the inanity of “Gut Busters” is satisfying. Add to that the moronic frat brothers and “Plan” is a solid program. It may not have anything as great as Felix, but it’s more consistent. Perhaps because it doesn’t include any memorable guest characters, “Murder” turns into an average episode. Sure, we get an amusing Charlton Heston impersonation from Robert Legionaire, but there’s nothing as hilarious as Felix or the Gut Busters. The murder mystery spoof at the end amuses, but this show’s a disappointment after the terrific first pair of programs. “SDI” works best when it treats an assault from Austria as a goofy caper. I love the fact all their dialogue appears in German, and the silliness of that side works well. The rest of the show isn’t as good, but this still turns into a fun episode. For the first time since the premiere episode, we get another hilariously disgusting puppet. Pum’kin the cat creates many of the show’s laughs since she’s so damned skanky. Otherwise the episode relies on that old sitcom standby: the misunderstood dialogue. Since the show uses this in a knowing way, the elements create amusement. It’s not a great program but it’s pretty fun. “DEA” also capitalizes on another sitcom cliché: the nagging mother-in-law. Those parts amuse, largely due to the surly performance from Marte Boyle Slout as Barbara. It’s also tough not to be entertained by the sight of W tripping on E. Throw in a hilarious turn by David Norona as the arrested druggie and the show works. Is it just me, or does is seem odd that all of the Bush actors are noticeably more attractive than their real-life counterparts? Actually, Bottoms and Dolin aren’t significantly better-looking than the actual W and Laura, but Kurt Fuller’s Karl Rove is a definite step up from the rear thing. Not that Fuller is a stud – he’s pretty average – but since the real Rove is a morbidly obese toad, Fuller comes across as Brad Pitt by comparison. The titular concept of sticking two people in a tight spot to revolve problems isn’t quite as hoary as the clichés seen in other episodes; if it were, I don’t think the program would need to explain the concept so thoroughly. It’s still tired enough to work here, especially since “Trapped” uses it in multiple situations. Bush comes to an end here. “Welfare” certainly acts as an unusual twist to conclude the series, at least given the subject matter. Of course, the story offers more of the expected sitcom clichés, though the involvement of the President makes the moves more amusing. This just means that Bush then gets to spoof different kinds of sitcom. It goes for Jeffersons, Welcome Back Kotter, Cheers and others. It achieves its goals well, as “Welfare” offers a very entertaining conclusion to Bush. That’s My Bush appears in an aspect ratio of 1.33:1 on these single-sided, single-layered DVDs; due to those dimensions, the image has not been enhanced for 16X9 televisions. The episodes looked decent but not much more than that. Sharpness usually seemed acceptable. A little softness pervaded the presentation, though, as the shows never came across as particularly concise. This wasn’t a significant problem, but it meant the programs were less than detailed. Some occasional jags and shimmering popped up, and I also noticed a little edge enhancement at times. No examples of source flaws appeared during this clean presentation, though the shows were a bit grainy. Colors tended to be somewhat lackluster. The shows featured a natural palette that failed to demonstrate much vivacity. However, they were acceptably full and more than adequate. Black levels were suitably smooth and dense, but shadows were more of an issue. The shows often came across as too dark, especially during interiors. Since virtually the entire series featured interiors, this meant a lot of the shows seemed rather underlit. I always thought the programs remained watchable but they weren’t particularly strong. The Dolby Surround 2.0 soundtrack of That’s My Bush offered a pretty restricted soundfield. However, I won’t complain about this, since it’s not like Bush provided a slew of opportunities for stellar sonics; it’s a dialogue-driven show, and the audio emphasized that fact. Music spread adequately to the side forward speakers, and it also emanated gently from the rears. Otherwise the track often seemed to be essentially monaural. Some mild ambiance came from the sides and the rears. Elements like thunder added a little panache, but we didn’t get a lot of material from places other than the center. Audio quality appeared good. Dialogue sounded distinct and natural, with no signs of edginess. Effects came across as reasonably accurate and realistic, and they showed no signs of distortion. Music was the strongest component of the mix, as the score sounded fairly crisp and demonstrated pretty solid bass response. Ultimately, Bush offered too modest an auditory experience to merit anything above a “C+”, but it nonetheless sounded fairly fine for a series of this sort. Two separate sets of “mini-commentaries” show up for all eight episodes. 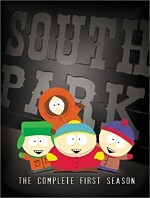 South Park fans will be familiar with the format, as it gives us just a few minutes of screen-specific information. 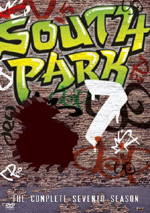 The first ones come from series creators Matt Stone and Trey Parker. These run between two minutes, 25 seconds and five minutes, 55 seconds; they last a total of 33 minutes, 30 seconds. Stone and Parker discuss story issues and the series’ progress, the concept behind Bush, its tone and related challenges, the omission of the Bush twins, general thoughts about Bush and its place in their careers, influences, sets, casting and performances, dealing with the jump from animation to live action, the series’ limited run and various show specifics. We learn how they originally thought this would be Everyone Loves Al and be about Al Gore, a fact that negates anyone’s belief that Bush existed to slam W. They also chat about how the delayed election results in 2000 postponed the start of production. Good bits of trivia emerge as well; we learn about Felix the fetus, casting a “big fat dyke”, and problems with the use of a bear during one episode. Across the board, Stone and Parker offers lots of great information. Both prove frank throughout all the tracks, and they throw out tons of fun notes. We get good background for the series and learn a lot here, so you definitely want to listen to the commentaries. For the second set of tracks, we hear from actors Timothy Bottoms, Kurt Fuller, Marcia Wallace, Carrie Quinn Dolin, Kristen Miller and John D’Aquino. All six sit together for their running, screen-specific chats. The pieces fill between four minutes, 50 seconds and 10 minutes, 10 seconds; altogether, they come out to 58 minutes, 45 seconds. The actors talk about their casting, characters, research, and performances, acting together, changes such as the omission of the Bush daughters, working with Stone and Parker, dealing with a bear for “Murder”, and various show details. Although the actors talk for much longer than Stone and Parker, they offer a lot less useful information. They dish with each other a lot and joke around, but they just don't tell us a ton. The tracks have their moments; just don’t expect a lot of concrete material. One odd note about the actors’ commentaries: they don’t seem like they were intended to be “mini-commentaries”. Whereas Parker and Stone concretely conclude each of their chats, the actors’ discussions simply end. It’s like someone decided “enough!” and just cut off the recorder. I’m not sure why this occurs, but it’s a bit disconcerting. DVD One comes with a few promos. We get Previews for South Park Season Eight, Windy City Heat, Stella Season One, and Strangers With Candy. Perhaps the US wasn’t ready for a wacky sitcom look at the Bush administration, as That’s My Bush! didn’t last past eight episodes. However, the series deserved better than its fate. 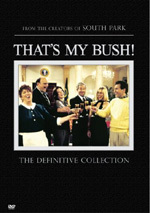 A great spoof of stale TV series, Bush offered a bright and amusing piece of satire. The DVD offers adequate picture and audio as well as some interesting “mini-commentaries”. I think Bush is a lot of fun, so it earns my recommendation.